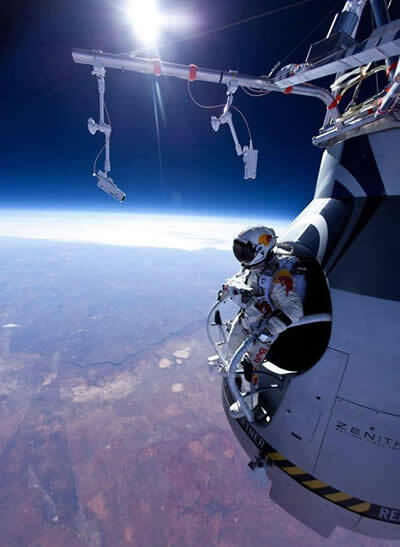 Felix Baumgartner successfully jumped from a space capsule, Red Bull Stratos, lifted by a helium balloon at a height of just over 128,000 feet above the Earth’s surface ~ a world record. Congratulations Felix, for inspiring the world ~ for believing in yourself ~ for your commitment ~ for your courage ~ for igniting hope ~ and for making us believe that nothing is impossible. Thank You!!! 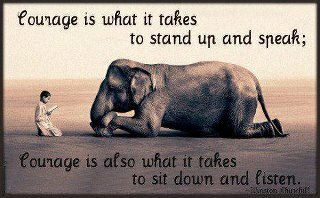 Courage is also what it takes to sit down and listen . 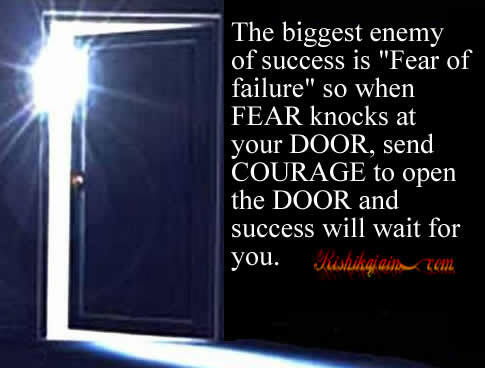 The biggest enemy of success is “Fear of failure” so when FEAR knocks at your DOOR, send COURAGE to open the DOOR and success will wait for you. Success – Inspirational Quotes, Motivational Pictures and Thoughts. 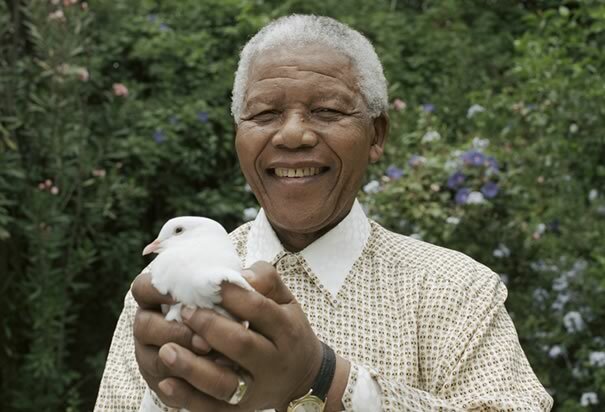 Courage isn’t always a Lion’s roar….. 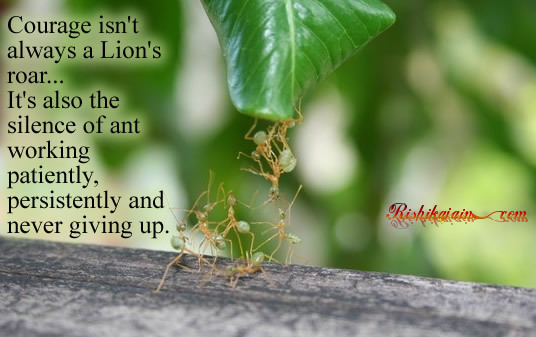 Courage isn’t always a Lion’s roar…It’s also the silence of ant working patiently,persistently and never giving up. 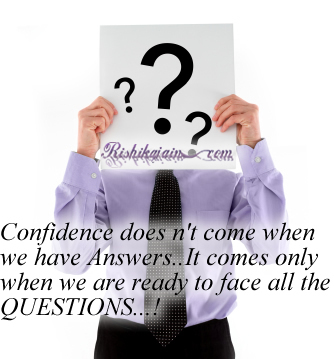 Confidence doesn’t come when we have Answers..It comes only when we are ready to face all the QUESTIONS…!